Three Bridges disciplined performances from the three spinners set up a comfortable 30-point win against Worthing. The game was played under the new limited overs conditions, 45 overs per side. After losing the toss and being asked to bowl, Bridges failed to find the early breakthrough in a frustrating first 10 overs. At 50-1 on came the Bridges spinners and the runs started to dry up, Rose bowled Nick Gunning before Matt Blandford ran out Martyn Swift. 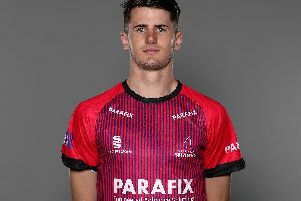 At 100-6 Worthing were struggling and they lost more wickets to the leg spin of Luke Bellars who defeated three batsmen, including the overseas player Francois Hurley for a duck, who hit his wicket. A last wicket partnership of 37 took Worthing up to a competitive score but Bridges were pleased with their efforts needing 164 to win. Bridges found themselves 31-3 early on. Good bowling from Jamie Piper, Swift and Hurley dealt for Hugo Cowan (0), Sohail Shah (13) and James Russell (8). Olle Blandford and Joe Walker came together at the crease and looked to dig in for a while, and started to build a partnership. As drinks came and went they were still together and starting to score more freely, Walker seeming the only batsman on the day to be able to time the ball particularly well. The score passed 100 and the pair were on top, punishing the leg spin of Gunning as their partnership rattled along comfortably at four an over. They finished the job themselves after 38 overs finishing 164-3, Blandford unbeaten on 65 and Walker 63 not out. Next week Three Bridges face Bognor at home.